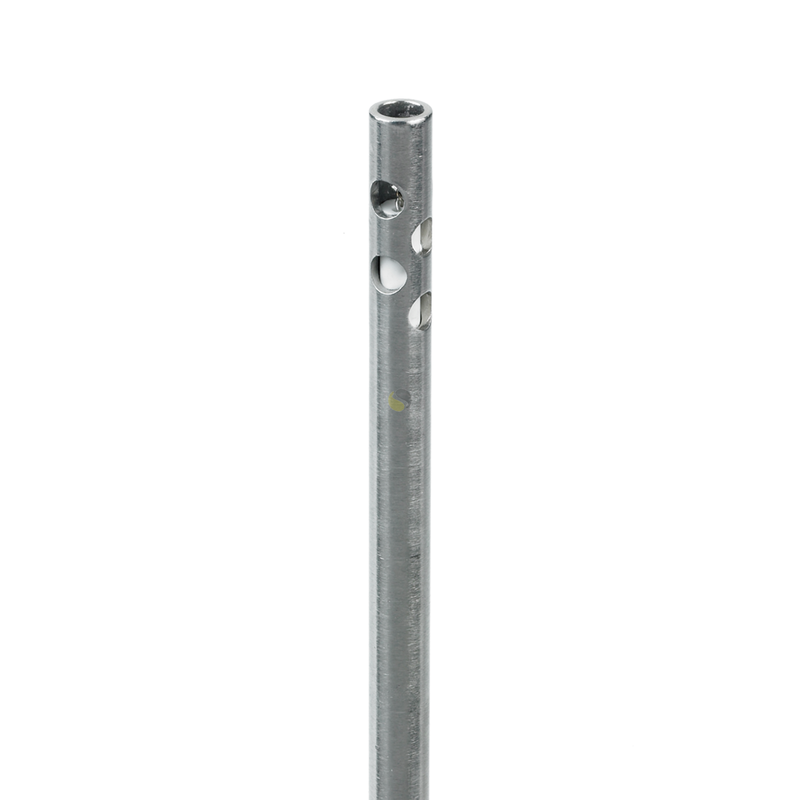 Type K hand held air probe, designed for measuring air or gas temperatures in ducts or pipes. 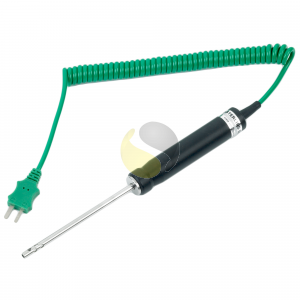 The exposed thermocouple junction is housed in a 4.76mm (3/16”) diameter stainless steel vented sheath and is supplied fitted with a plastic handle and 1 metre coiled lead and mini plug for use with a hand held digital thermometer. 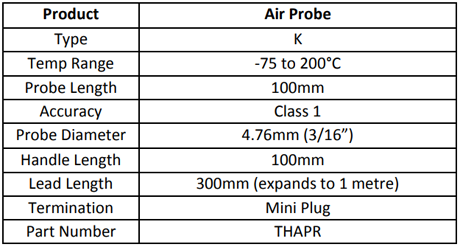 This sensor is ideal for fast response temperature measurement in general air applications.